Imagine carrying your TV with you wherever you go. Only this TV weighs about 114g and measures 111mm length & 50mm width. You can also listen to music as it’s got a music player that supports MP3, AAC and WMA audio formats. Naturally it has an in-built camera for that candid shot. After taking the shot, you can edit, share, and print it on the phone itself. Don’t forget that you can call your family and friends, too. Oh, and for that favorite TV show you mustn’t miss, you can set reminders on your phone to remind you. 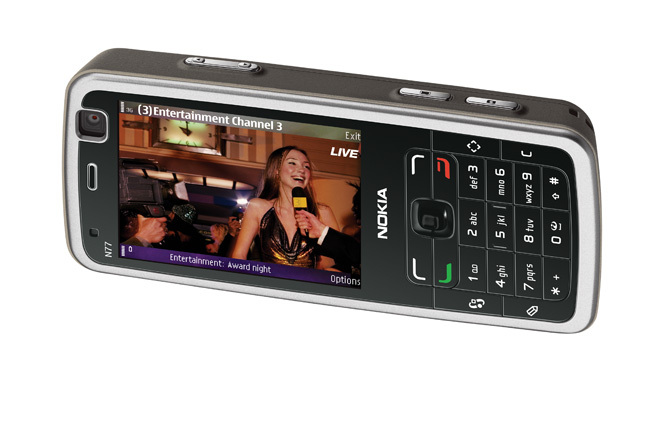 Yes, that is Nokia latest DVB-H (Digital Video Broadcast – Handheld) phone, N77, which was introduced in the 3GSM World Congress 2007, Barcelona. Nokia N77 is a triband candy bar model with 20MB internal memory and it is expandable up to 2GB of mermory via MicroSD cards. 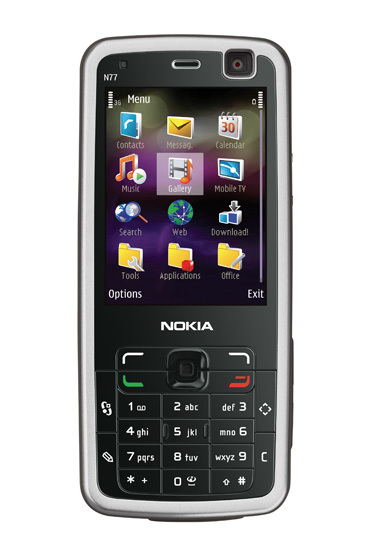 It has a 2-megapixel camera (1,600 x 1,200 pixels) and equipped with all basic features that a basic 3G phone should have. But the multimedia facilities in this phone are excellent. The phone allows you to set reminders to alert you on your favourite program, playlist editing, replay TV program and etc. Read more on the specification from Nokia. With this new technology in hand, you’ll no longer be known as a couch potato. Now you can proudly declare yourself a mobile couch potato.